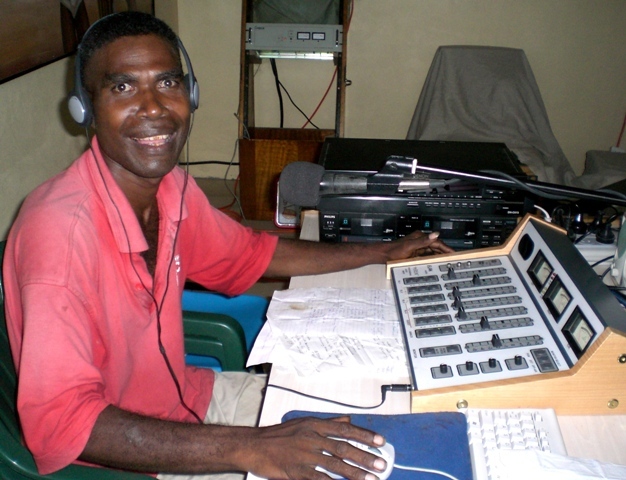 Radio Bosco is a community FM radio station operated by the Salesians of Don Bosco in Solomon Islands, Honiara. It was started on the initiative of Fr. Ambrose Pereia when in 1999 he wanted to start a radio service for his parish. It was soon realised that the station had additional potential related to the educational mission of the RTC, and during a time of ethnic tension, to serve a key role in bringing people together and peace building. Setting up and equipping the station and obtaining a broadcast license took a few years. Micro FM broadcasting equipment was sent from Italy, where it had previously been used to assist in responding to disasters. The facility first started broadcasting in 2005, starting with a daily half-hour programme. Driven by the enthusiasm of the student and community volunteers, this was soon extended to two hours per day. 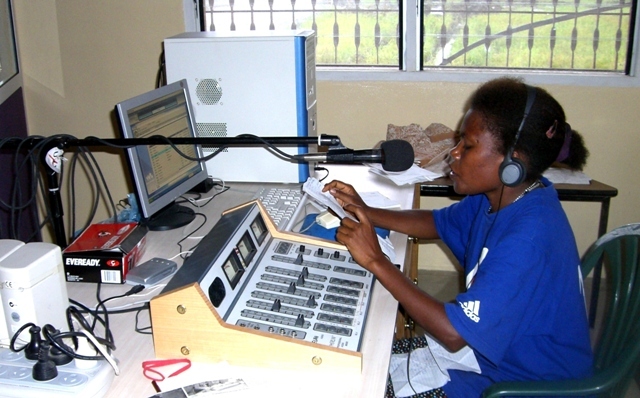 The mission of Radio BOSCO is to provide a community radio service for the Tetere community for purposes of Catholic Church communications and importantly, to empower, support and promote spiritual, human and economic development with a special focus on the young people and women of the community. It aims to do so through improved information sharing and interaction, providing a forum for youth and women, and through education. All of these activities will be conducted in ways that support the culture and language of Tetere. In 2010 a partnership arrangement was developed with the newly opened Gold Ridge Mine, with the intention of relaying the Radio Bosco broadcasts to a wider audience through the mine’s community service broadcasting station. However, before that could be successfully achieved, Radio Bosco temporarily ceased operations whilst issues of governance and capacity are addressed. Radio Bosco is situated at Don Bosco’s Rural Training Centre (RTC) at Tetere, on the Guadalcanal Plains about 27 km from the capital Honiara. Don Bosco also has a long-established vocational college, the Technical Institute, closer to Honiara at Hendersen. Radio Bosco broadcasts on 89.9 MHz with a 60W transmitter. The coverage is good due to the flat terrain; Fr. Ambrose estimates 3-5,000 people live within the coverage area and he has observed reception possible as far as Honiara (and on high ground even further away). The context of the station lies with the mission of the Salesians, an international organisation of Catholic priests and brothers dedicated to the service of the young, especially the disadvantaged and marginalised. Thus the focus of the radio programming is very youth oriented and educational in nature. The second context within which the station found itself was that of ethnic tension. Between 1999 and 2003 the country suffered a period of tension with conflict between the people of Guadalcanal and settlers from the adjacent Malaita Province. The area where the station is situated became a front line between the two sides. At that time, with much misinformation abounding there was a need to inform people and bring people together to reconcile. The station is owned by the Salesians of Don Bosco and until 2008 was directly supervised by Fr. Ambrose. Since then, they have encouraged their RTC to look for a more participatory management model based on community volunteerism to operate the station. 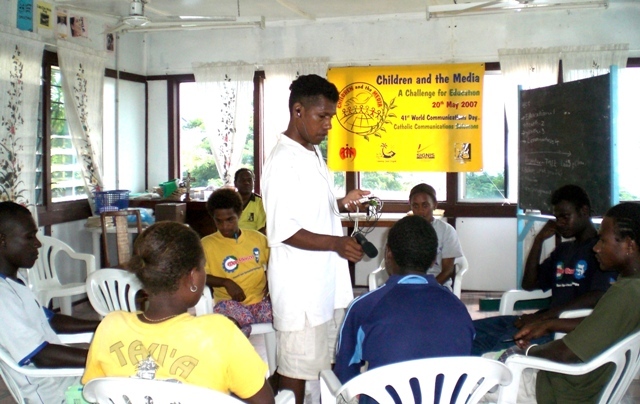 The station is funded through the Salesians of Don Bosco programme in Solomon Islands. The station had until recently three staff, sharing the work of broadcasting, programme production, reporting and media. Situated as it is within the RTC it has access to a range of technical skills should the need arise. (e) to provide an outlet for information on what is happening in the International community and how this affects the development and lives of the people of Tetere. The schedule of the station reflects the aspects of social change that the station addresses. 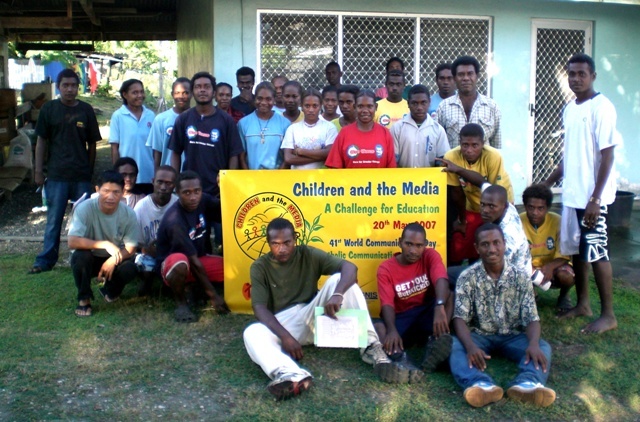 This includes regular programmes on community health called “Helt blo Iumi Clinic”, a weekly feature “Kastom” on cultural issues, Kastom” (culture), a regular feature for children “Kids Time”, and religious programming, referred to as “Lotu”. The station broadcasts a mix of live and pre-recorded content. Formats include music, interviews and drama. 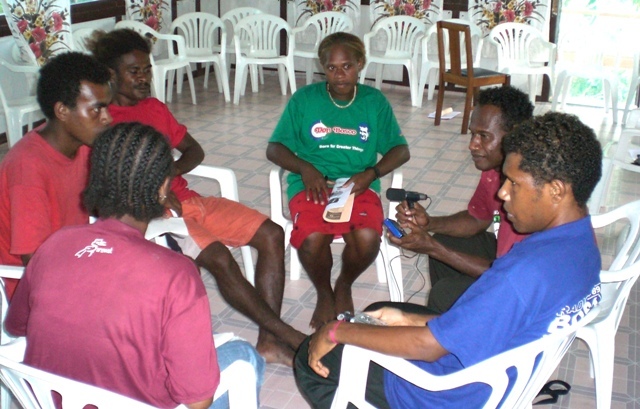 The station has a participatory approach to programming, with groups in the community making regular contributions. For instance, the station works closely with the local community school, police post, health clinic and a nearby prison. Participation of the community is encouraged further through bi-monthly Youth Gatherings with the community, where topics for programming are touched upon and concepts developed for the radio programming. Radio Bosco regards their main achievement has been to bring people together and give focus to critical issues concerning the people of Tetere. This has been most useful during the ethnic tension that affected the country between 1999 and 2003. Positioned as it was in a “hot spot” of the conflict, the station undoubtedly served a key role in peace building and reconciliation. The participatory and localised nature of community radio has been a major factor in this achievement. It allowed people to hear messages, discussions, and information presented by trusted local voices in their own language, and with channels open to them to interact and participate in those conversations.